After the massive correction following the 2017 bubble, the crypto haters all came out of the woodwork. Dealing with all the “I told you so” comments from the annoying guy at work is one thing, but when highly respected economists are saying this, people take it more seriously. 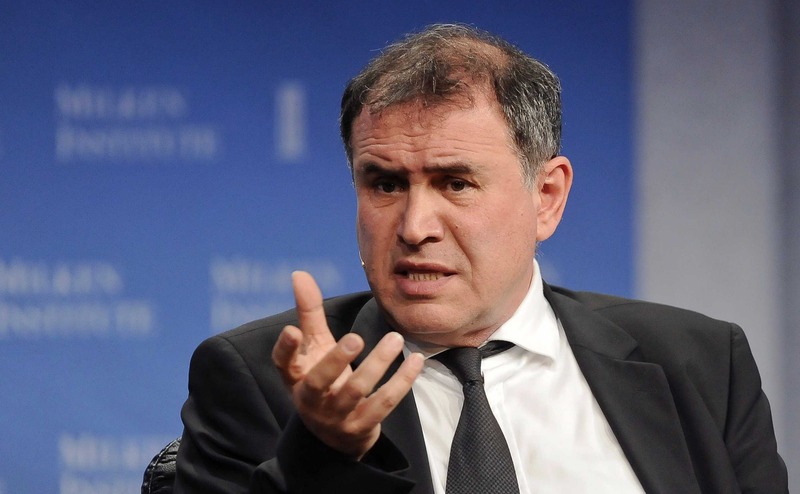 That is the case with Dr. Nouriel Roubini, an economist who has earned the moniker “Dr. Doom” for his overwhelmingly negative comments about cryptocurrency over the past year. Let’s start with this the first one. We all know there are a lot of shitcoins out there (in his testimony, Roubini actually became the first person in history to use the word “shitcoin” in a congressional setting). This is the same tired, generalized argument used by people who know both a) know a bubble when they see one, and b) have a strong skepticism of new technology. But it doesn’t mean that cryptocurrencies are all scams. It’s common sense that you should NEVER invest in anything you don’t understand or have not thoroughly researched. While it can be challenging at first to sift out the scammers, there IS an abundance of credible, unbiased sources of information online to explore. With proper research, you can come out ahead in this. When you learn how to spot the red flags on a project, it’s actually pretty easy to avoid getting scammed. It’s like anything else in life…what you get out of it is related to the effort you put into it. Next, there is the charge that cryptocurrencies are only used by terrorists and criminals. This has been a common misconception for years that is thankfully beginning to fade away. It is true that cryptocurrencies have been used for illicit purposes, including money laundering. The reason for this was that governments and law enforcement agencies knew so little about how the technology worked. There was a window of time in which it served as an effective way for bad actors move money around. Those days are fast coming to a close. The truth is that a blockchain-based network is literally the worst way to launder money in the world, because there is public, immutable record of transactions preserved forever. This is exactly what you are trying to AVOID if you want to move dirty money around. 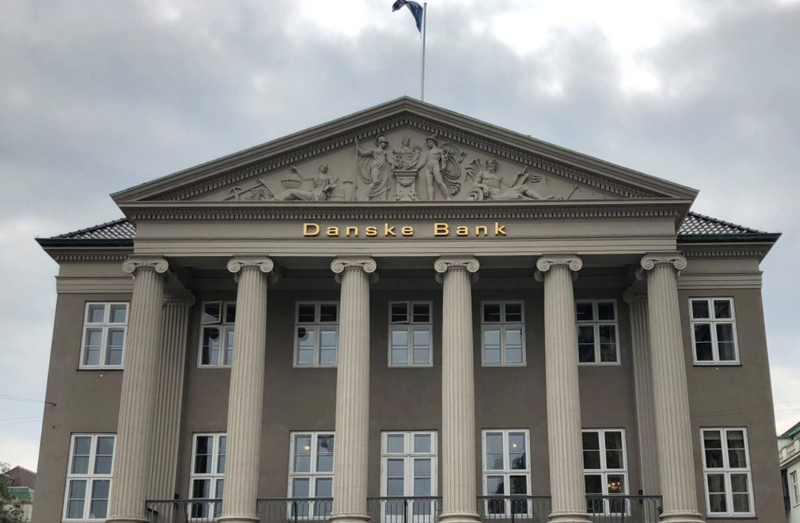 As the recent scandal with Danske Bank has shown, if you want to engage in big time money laundering, the good ol’ legacy banking system is still a much more effective way to go about it. The last two assertions by Roubini — that blockchains are inherently bad technology and that cryptocurrencies which run on them cannot scale — are closely related so we’ll address those together. Now, there is some truth to the claim that blockchain tech is overhyped. There are “experts” and project “Advisors” on LinkedIn and countless media outlets claiming that blockchain is the solution to everything from migration and economic crisis to curing cancer and limitless green energy. No, blockchains are not the solution to all of life’s problems, and they are not an appropriate technology to use in every industry. But to claim that there is no beneficial application for it is simply not true. From supply chain management to medical records, the benefits of permanent, tamper-proof record keeping are obvious. It is hard to overstate the damage that can be done through the fabrication or manipulation of data. From the multibillion dollar counterfeit goods industry to the fake child vaccine scandal in China, these are examples of crimes that can be prevented if an immutable system is being used. Roubini went on to claim that cryptocurrency adoption is not comparable to the internet, because 10 years after the internet became available to the public, there were over 1 billion people online. Almost a decade after the emergence of bitcoin, there are only around 22 million people using cryptocurrency right now. This sounds pretty damning, but it’s not a fair or accurate comparison. The basic infrastructure of what became known as “the internet” was built in the 1960s and 70s by the Advanced Research Projects Agency, a research and development agency in the United States Department of Defense (it’s currently known as DARPA). It was originally designed to be a transcontinental communication network for the DoD. Early forms of email, believe it or not, date back to the 1960s. Both these technologies were developed in government R&D agencies and in various academic programs with ample funding. This is hardly comparable to bitcoin’s humble and anonymous origins. Furthermore, it was decades before both email and the internet gained widespread public use. To hold cryptocurrencies to that same standard when they’ve only been around for 9 years is absurd. This technology is still in its infancy and is continuing to evolve. A big part of that evolution will be making it more scalable, which brings us to Roubini’s next criticism. While both ethereum and cryptocurrencies like bitcoin have problems with scalability, there are viable solutions for fixing them. Whether it is solutions that move transactions off-chain like the Raiden and Lightening Networks, increasing block sizes, or various other approaches like sharding, there are brilliant minds all over the world working on this. The idea that blockchains in their current form will just remain that way forever is ridiculous and completely contrary to how any kind of technology develops. Everything changes and improves over time, why are cryptocurrencies and blockchain tech any different? To conclude: Yesterday, Dr. Doom demonstrated that he just doesn’t get it when it comes to cryptocurrency. He’s not going to get it. He doesn’t want to get it. Don’t be a Dr. Doom. Educate yourself, invest and trade wisely, and years from now, you can take pride in the fact that you saw the writing on the wall long before the masses did.